Imagine you have two million quid. I want URLs now people! C'mon. It's Monday, I've done two hours of work and need to relax for a while! I would also have £500k in change. Something like the following two but making sure that they had plenty of land to use. Keep the change for living costs until the place can pay for itself. 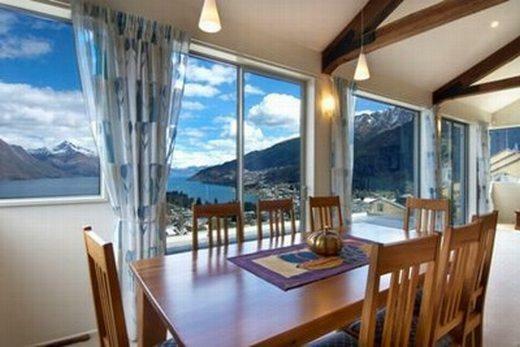 I'd convert my 2 million imaginary Pounds to $4.23 million imaginary New Zealand Dollars and buy this which is in my favourite place on earth, Queenstown. That view is just immense. I've just had a rather listless look around, but I think the reason I'm having trouble getting into it is that, for me to spend a couple of million quid on a place to live, I'd probably need some tens of millions lying around. The view's great but, the house does look a bit like a double glazing firm let Dr Seuss design a showhome for them.